Yes, this is the one with the burned church on the cover. In the same mold as “Hvis Lyset Tar Oss” with the same stylistic leanings, this remains essential to black metal lore. 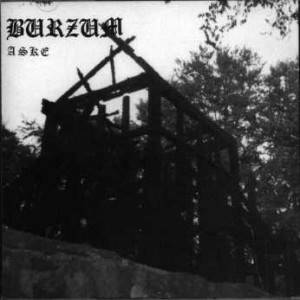 Burzum hadn’t reached the trance like stylings that were later achieved on Hvis Lyset Tar Oss or on Darkthrone’s Transilvanian Hunger – there are frequent riff changes and variety. Black metal as espoused on this record is an experience – a feral one that lays bare the nature of this universe – unforgiving, unpredictable, primal and without a conscience. Burzum is the peak of black metal and along with the debut, Hvis Lyset Tar Oss and Aske, forms the perfect soundtrack for a modern society intent on consuming itself. Tags: 1993, Ashes, Aske, Baba T, Black Metal, Burzum, Feral Black Metal, Music, Music Reviews, TNBM, True Norwegian Black Metal. Bookmark the permalink.